The Royal Opera House’s production of The Wind in the Willows opens at the Duchess Theatre as the Opera House’s first ever West End transfer! Directed and choreographed by Will Tuckett, the production premiered at the Royal Opera House in 2012 to huge critical acclaim. Written by Kenneth Grahame in 1908, The Wind in the Willows is widely hailed as one of the best children’s novels in the world and received praise from powerful public figures such as US president Theodore Roosevelt. The story itself focuses on the now iconic characters of Mole, Ratty, Mr. Toad and Mr Badger who all live in the Thames Valley. It all starts with Mole getting lost up the river and stumbling upon a water rat. The pair then befriends a rich Toad who is obsessed with current fads and speed, leading the friends to worry about his well being. The plot thickens as Toad goes slightly off the rails whilst Ratty and Mole come across a well respected badger who lives an almost reclusive life deep in the scary Wild Wood. As Toad’s house at Toad Hall becomes infested with vicious woodland animals from the Wild Wood, the band of friends are reunited and their friendship is put to the test as they try to regain the Hall for Mr. Toad. The Royal Opera House’s adaptation of the classic tale uses a jovial mixture of music, dance and puppetry against The Quay Brothers fantastic stage design. The onstage action is set against Martin Ward’s much praised score, making the production a simultaneous treat for the eyes and ears. 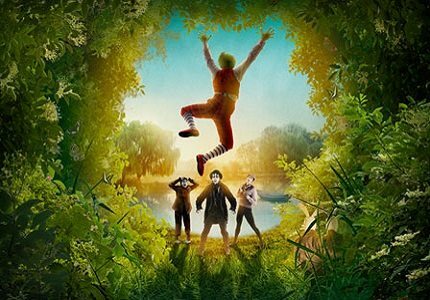 The Wind in the Willows will run at the Duchess Theatre for a limited eight-week season of fun for all the family. The Wind in the Willows is a classic tale and is perfect for children and adults alike. There are plenty of matinee shows at the Duchess Theatre so younger children can enjoy the charming story before bedtime!